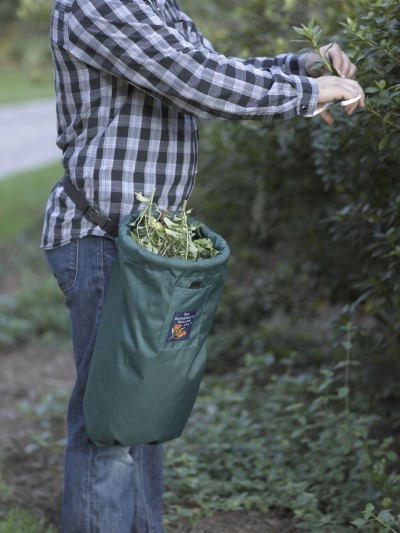 The Gardener's Hollow Leg is the perfect bag for harvesting all kinds of fruits and nuts as well as for collecting debris while trimming, pruning or weeding. Avoid the back breaking work of hauling a bucket around the yard or orchard with this 5-gallon+ collecting bag. It is easy to snap-on around you waist, neck or shoulder because of the adjustable belt. The pocket on the front allows you to carry around your phone, an mp3 player or any tools you may need while out and about. The handle on the bottom makes emptying the bag a breeze. 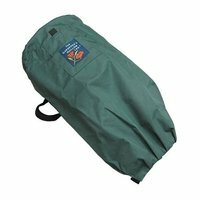 Made of durable polyester, the Gardener's Hollow Leg is a handy tool will serve you for years to come.